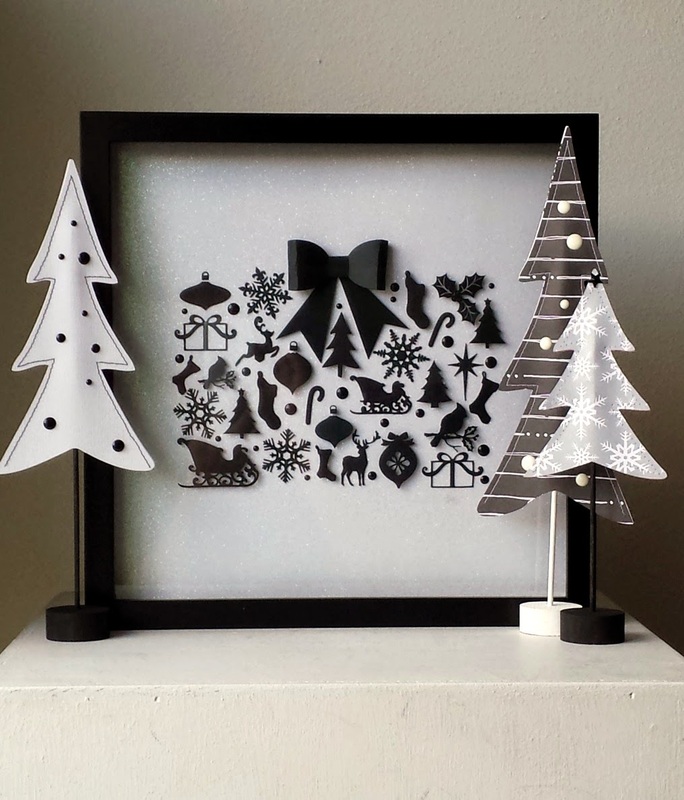 It's time for another Cricut Design Space Star contest post. :) This one is pretty simple, but I really love the impact it makes. 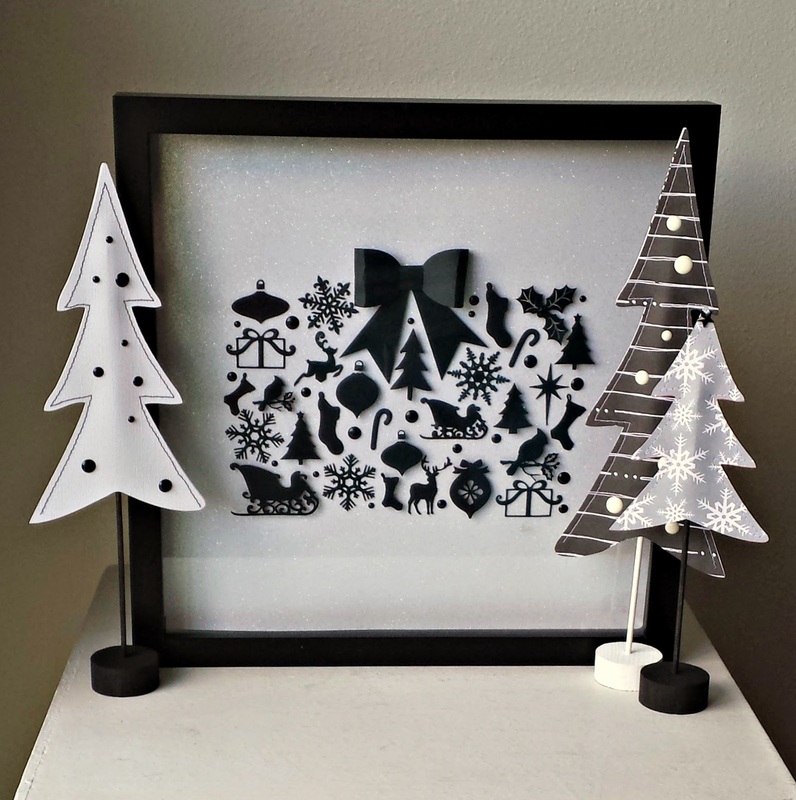 To create this project I simply cut lots of shapes using a single sheet of black cardstock and arranged them in the shape of present on another sheet of glittery white cardstock. You can find the file with the Christmas shapes here. The bow is the TomKat bow in the Cricut files. I used a glue pen for the fine detailed pieces that I wanted flat against the background, then I used foam adhesive to pop some of the shapes off the back. I put the whole thing in a shadow box. Super simple. 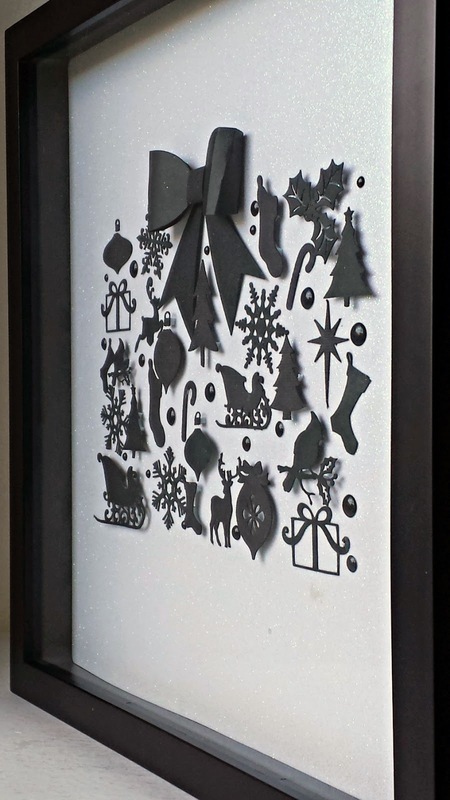 I wanted some simple decorations to stage the shot of the shadow box, and came up with a second, super simple project. I cut out these trees at 3 different sizes, 6, 9 and 11.5 inches high. This file has the tree and the mirror image of the tree so it is the same on the back and front. Just make sure if you use it and change the size to change it on both trees. Sew around the sides of each tree leaving the bottom open. I used bamboo skewers and these wooden discs with a small hole drilled in the center as the base. I think they would be cute with spools as a base too. 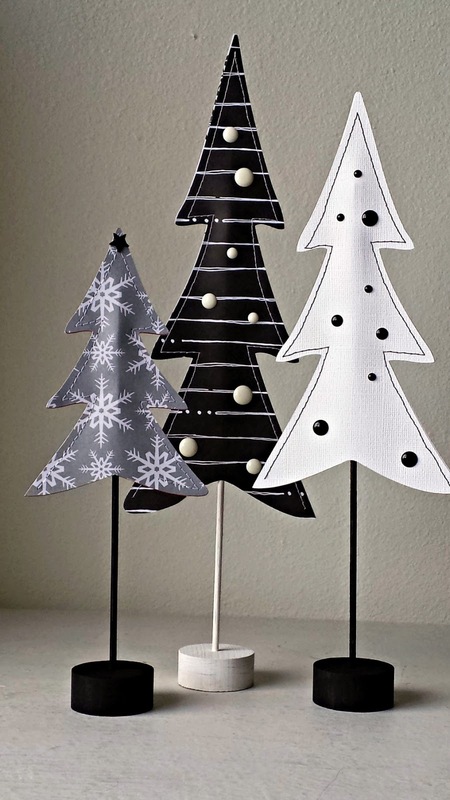 And there you have it, two simple but stunning Christmas decorations to freshen up your holiday display. Love, love, love this Amy!So beautiful! Just my style! How do I love this let me count the ways! Inspiring! I love this! I am not generally a b&w person but this is beautiful!